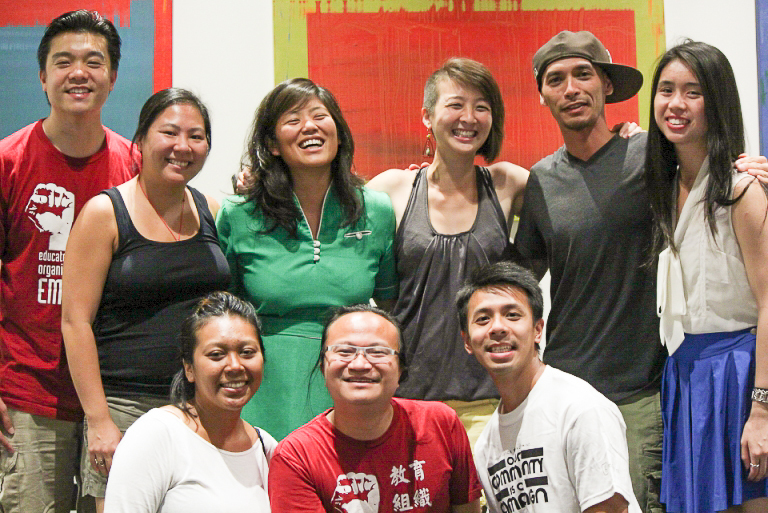 Grassroots APIs Rising is a new formation of grassroots AAPIs organizations to exchange and share best practices in organizing, civic engagement, multi-racial coalition building, youth and queer justice work, organizational development, and fundraising. The past two decades, grassroots organizations have brought new organizers and leaders into the movement, and have won effective organizing and electoral campaigns. As the fastest growing demographic in the US, AAPIs need to develop a unified strategy around the role of AAPIs in the broader social and economic justice movement on a national level. Last summer, over 30 grassroots AAPI organizations and 120 organizers convened in New Orleans, Louisiana to explore the role of AAPIs within the current moment, how we organize and build power among AAPI communities, and how we can work in solidarity with other communities for social change. The convening engaged with local organizing groups and supported the growth of AAPI grassroots organizing and activism in the South. Grassroots APIs Rising plans to hold its next gathering in 2015. The Coordinating Committee includes: Asian Pacific Environmental Network (APEN) – Oakland, CA, AYPAL: Building API Community Power – Oakland, CA, CAAAV: Organizing Asian Communities – New York, NY, Chinese Progressive Association (CPA) – San Francisco, CA, Providence Youth Student Movement (PrYSM) – Providence, MA, VAYLA – New Orleans, Louisiana. CPA, through Seeding Change, is currently providing coordinating support for the initiative.